The risk faced by Irish police of occupational exposure to HIV and other blood-borne infections is "as likely as being struck by an asteroid," according to expert testimony during a test compensation case conducted by Ms Justice Mary Irvine in July 2009 following a high level of compensation claims involving fear of transmission of such diseases coming before the Irish courts. Since then, reports today's Irish Independent, compensation payouts have been reduced from "upwards of €50,000" to between €5000 and €7000. COMPENSATION for gardai claiming they suffered anxiety after minor scrapes with potential drug addicts has been slashed after the risk of illness was deemed to be "as likely as being struck by an asteroid". After a test case was taken before the High Court, damages for stress were yesterday cut to well below what can be awarded by the District Court. But while this will save the State in compensation costs, the final bill will more than quadruple after legal costs are included. 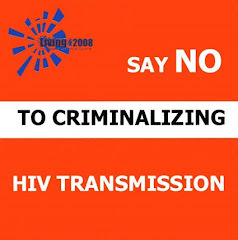 Some judges, have, in the past, awarded gardai in similar cases upwards of €50,000 at a time when no significant attempt had been made to test for HIV contamination. Ms Justice Mary Irvine conducted a test case during which she heard from medical experts that the risk of a garda contracting diseases from drug addicts was as likely as being struck by an asteroid. Since delivering her judgment, Ms Justice Irvine has significantly reduced that element of compensation relating strictly to anxiety about contracting an anti-social disease. Yesterday, she reminded authorities of the need to allay garda fears through continued education about the remote risk of infection. She said in incidents of injury it was important to carry out tests on assailants. Gda Cormac McAvock, of Oranhill, Oranmore, Galway, was awarded €7,000 for anxiety and physical injury he suffered while making an arrest when he was stationed in Mullingar. He did not know what had caused a finger wound but had been advised to have blood tests. He did not have counselling and had not asked that his assailant be tested for HIV. Gda Gerard Ryan, of The Grove, Louisa Valley, Leixlip, Co Kildare, was awarded €5,000 for stress suffered after he was injured during an arrest. Ms Justice Irvine said he had believed he had been bitten by his assailant who was not a known drug user and he had been advised of the very minute risk of infection.